A new thermally conductive thermoplastic polyester from DSM provides automotive electronics developers and designers with an innovative solution in overcoming heat management issues in such components as foglamp housings, lens holders and AFL (Adaptive Forward Lighting) frames, while minimizing any addition to vehicle weight and fuel consumption. In addition, as future LED Lighting systems do get more efficient and consume less power, this material will offer weight and cost saving potential for these Electronics driven systems as well by its unique combination of heat management, mechanics and high dimensional stability. It is also suitable for numerous types of automotive electronic components. Arnite PET XL-T combines high heat resistance (HHR) with low out-gassing, offering a new alternative to metals and more exotic HHR materials most often used in such applications. In actual use, it shows a performance approaching those of more expensive HHR thermoplastics such as polyphenylene sulphide (PPS) and polyetherimides (PEI), and does not suffer from moisture absorption issues that commonly arise with polyphthalamides (PPA). The new grade, available worldwide, is a further development of Arnite PET-XL, which DSM successfully introduced in 2009. Both products are based on polyethylene terephthalate (PET) and are highly suitable for engineering applications. Arnite PET XL-T offers the additional benefit of thermal conductivity via a proprietary filler: in-plane conductivity is 1.65 watts per meter kelvin (W/(m.K)). Arnite PET XL-T also features a low coefficient of linear thermal expansion (CLTE). In developing Arnite PET XL-T, DSM has matched in extensive experience in thermoplastic polyesters for high performance, high precision applications, with detailed understanding of material properties as diverse as thermal conductivity and outgassing. The result is a solution providing multiple benefits for its customers that include fine-tuned fitness for purpose, weight reduction and associated vehicle fuel economy, as well as a reduced carbon footprint compared with metals, not only through lower weight but also due to the longer lifetime vs standard Thermoplastics thanks to low water absorption and better heat distribution. 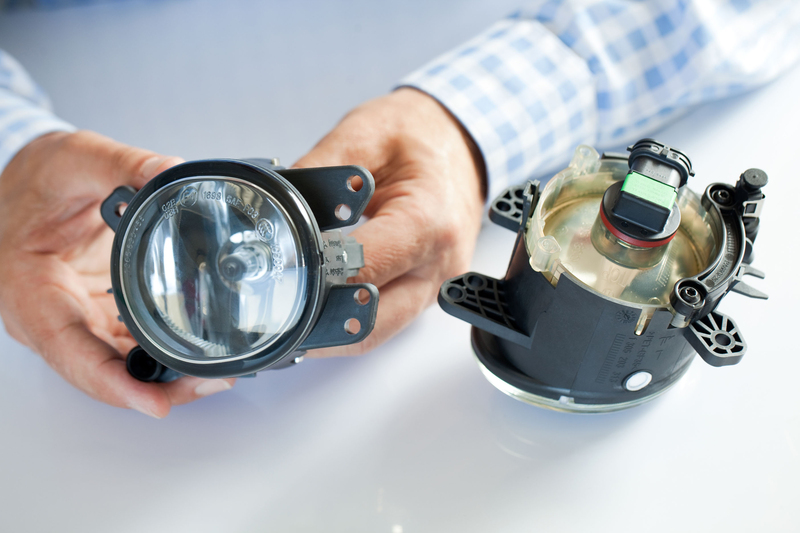 “Car makers and Tier Ones working on lighting and electronic applications are under constant pressure to save costs while facing increasing demands with regard to heat management, low fogging and moisture absorption requirements,” says Richard Frissen, Business Development Manager, Automotive Electronics, with DSM. “They need materials with good mechanical performance, low outgassing or fogging characteristics, and low moisture uptake, while staying price competitive with existing HHR solutions. With Arnite PET XL-T, we reckon we have ticked all the boxes.” Frissen points to the potential conflicts inherent in current automotive design trends, where improved comfort and safety need to be achieved alongside improved fuel economy and reduced CO2 emissions. “Electronics are key to managing these ambitious goals, especially when hybrid and electric vehicles are gaining more importance,” he says. “The main driver for electronics is miniaturization in combination with increased electrical content. This makes proper heat management more and more of a challenge. Frissen further notes that parts such as electronic control units (ECUs) molded in Arnite PET XL-T show the very good dimensional stability typical of thermoplastic polyesters, enhanced heat management capacity and still sufficient mechanics for screw assembly, not common for competitor thermally conductive materials based on PPS for instance. For good measure, the new product gives very little problem with mold deposit.